Melani says "MMM...It tastes like chocolate!" 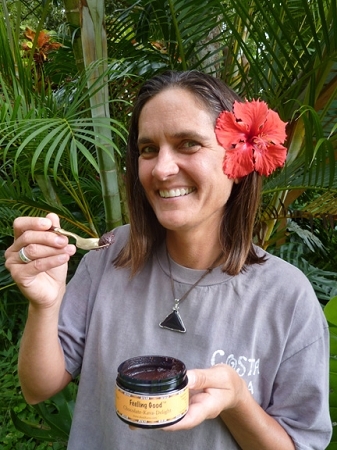 Chocolate + kava + honey = heaven! This blend is great by the spoonful, but can also be stirred into your favorite hot or cold milk, milk alternative, or water to make a delicious beverage. It makes a great gift for the chocolate lover in your life or for anyone who wants to pamper themselves (maybe even YOU!). So put your feet up, let your tastebuds have a spoonful and melt away into sweet euphoria! Made with our highest quality finely sifted Vanuatu kava, fair trade roasted unprocessed cocoa bean powder, raw Hawaii island honey, and a splash of pure vanilla extract.